As part of our ongoing "Getting to Know Your Local Businesses" series, this week we sat down with Bridgett Nevarez, owner of Mammoth Cleaning. Celebrating 10 years of service, we have been serving homeowners and businesses with the highest cleaning standards in the industry today, completing well over 3500 projects to date. Our focus is on exceptional service and the safety of your property. We’ve handled any size project to our customer’s utmost satisfaction … whether they needed help in an apartment, a home or on a job site. As Kingwood residents, my husband, Jon, and I were offered an option to purchase an existing cleaning company and we did. Here we are, 10 years later! We’ve been married for 29 years and we’ve always helped each other with our businesses. Jon owns Mammoth Plumbing in Katy. I’m a mother of two and grandmother of one, 8 year-old Jordan. I know how hard it is to keep things clean, plus keeping a household and a business running smoothly. I’m eager to help others keep up. I feel what sets us apart from other cleaning companies is that we treat people as family, not another numbered customer. Our services are very customizable and we try to accommodate our customer’s schedules. Whether a family or business owner wants eco-friendly or stronger products, we listen and meet their needs. We’re a little family-owned company; but, we run it like a big cleaning company. Our team goes through pre-employment screening, including employee eligibility verification, background checks and drug tests. Our teams wear clean, professional style uniforms. If I’m helping someone in need, then I’m having a fantastic day! Whether we are helping families with busy children or families who are dealing with a loss, business owners who need a clean up after an event or after a construction project or helping anyone who is relocating, we’re here to help. Any homeowner or business owner who recognizes exceptional cleaning services is our ideal customer. We service our customers in 12 service areas of northeast Houston. We have 100% guarantee. No one is perfect. If we miss something and our customer lets us know, we come back and finish the job to their standards. Our word means everything to us. Our service calls are for as little as an hour up to 8 hours. Call us for a free service estimate. Those who mention this article can receive $20 off their first visit with a scheduled follow-up visit. To learn more about why you should choose our professional cleaning services and how to participate in our refer a friend program, visit our website. We will continue to grow by word of mouth, providing reliable and affordable cleaning services that we stand behind. 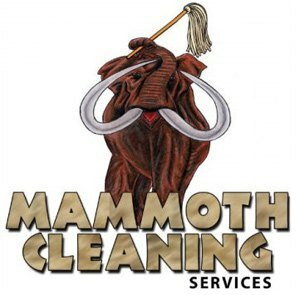 To learn more about Mammoth Cleaning, visit our profile at Atascocita.com.